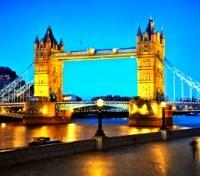 See the signature sights of London on a private tour. Embark on a scavenger hunt through the city, and see a theater performance of "Matilda." Enjoy a private tour of the Harry Potter studio. 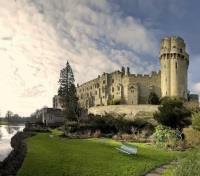 Spend a full day exploring Warwick Castle and the Cotswolds in private. With London as your home base, there's never a dull moment for the family as you experience the sights and sounds of England's finest. A blend of group and private tours bring you and your loved ones into the heart of England, with a full itinerary crafted to delight travelers of all ages. Explore London with a unique and engaging hi-tech scavenger hunt activity for the family, and take a ride in the massive London Eye, giving you a true 360-degree view of the city. 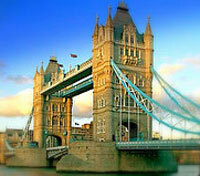 Set out to see the city's signature sights with a private guide, and enjoy a theatrical performance of Matilda. Visit the Warner Brothers studios for Harry Potter, and get an insightful behind-the-scenes perspective on this thrilling series. Devote a full day to exploring the grounds of Warwick Castle and the charming Cotswolds on a privately guided tour, and take a private day trip to the renowned seaside resort Brighton. With family-friendly accommodations and daily fun, you're bound to have a family adventure full of lasting memories. 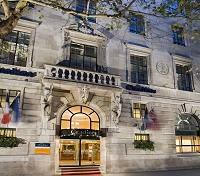 Set in the pulsing heart of Central London's City of Westminster, the Citadines Trafalgar Square (4*) is steps away from Nelson’s Column, and within walking distance of the Houses of Parliament, Big Ben and Westminster Abbey. Set over 9 floors, select from a choice of sleek and modern air-conditioned apartments. Each serviced apartment is fitted with a fully-equipped modern kitchenette, separate sleeping corner or room, en suite bathroom and well-partitioned living area. 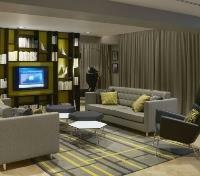 No dining options are on-site, though an array of pubs and eateries are right on Citadines’ doorstep. Alternately, walk 10 minutes to Covent Garden to get a taste of some of Central London's oldest pubs and catch a West-End musical, or try ultra-hip Soho, known for its entertainment venues and bustling nightlife. With its laid-back apartment style, and options to sleep up to 6 guests in a room, enjoy London as a family from Citadines Trafalgar Square. Breakfast included. 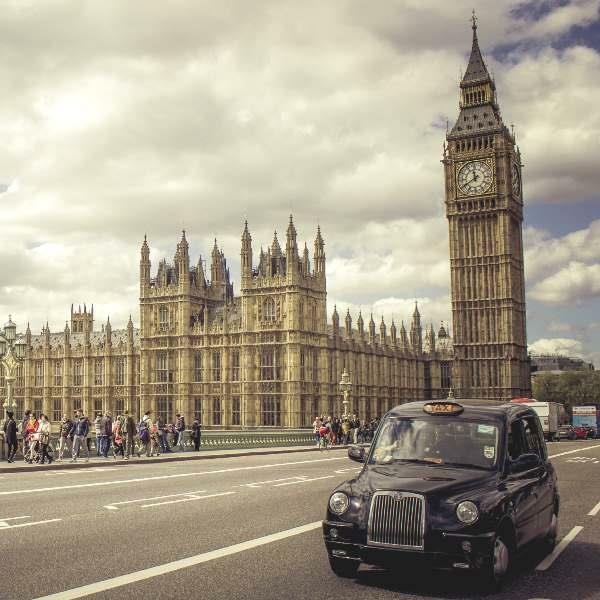 Departing with a private guide and driver, you’ll set out on a half-day tour to experience the highlights of London, with opportunities to see many of the iconic sights of this global metropolis. Discover the West End, home to some of the world’s most prolific theaters, where you’ll pass by the renowned Royal Albert Hall before traveling through the City of Westminster and the City of London, the oldest part of the capital, and home to the financial district. See Marble Arch, historically used for royal processions, as well as the serene Hyde Park, with its lively Speakers’ Corner. Stop at Buckingham Palace, home of the Queen and site of the daily ‘changing of the guards’, an icon of British pageantry. 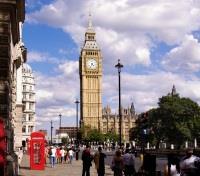 View Harrods in Knightsbridge, and renowned squares like Piccadilly Circus and Trafalgar Square with Nelson’s Column. You’re welcome to discuss with your guide if there’s a sight of particular interest that you’d like to view during your tour. Skip the largest part of the queue today at The London Eye with your exclusive Fast Track admission, and take to the skies for a unique perspective over the city of London below. At a height of 443 feet, The London Eye is the largest cantilevered observation wheel in Europe, and receives over three million visitors each year. 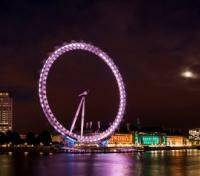 Your near 30-minute ride will complete after one full rotation of the wheel, allowing for a pleasurable pace as you ascend and descend, with plenty of opportunity to spot several iconic landmarks from an elevated vantage point on the south bank of the River Thames. Meet your private driver for a transfer to the theater for your scheduled show. They will also pick you up and take you back to your hotel after the show. Enjoy ticketed entry to Matilda The Musical, a family-friendly, multi-award winning musical from the Royal Shakespeare Company, inspired by the beloved book by the incomparable Roald Dahl. 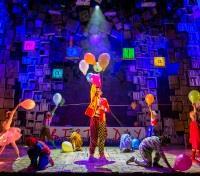 Matilda The Musical is the story of Matilda Wormwood, a child with an incredible talent for learning. Despite being hampered by unscrupulous, uncaring parents who care neither for their daughter or for education, she excels intellectually and even discovers a rather unique talent. Each time her parents treat her badly, the young Matilda teaches them a lesson. Depart with a private driver and vehicle on an excursion where you'll discover the Making of Harry Potter exhibit at the Warner Bros Studio London, providing an incredible opportunity to explore the magic of the most successful film series ever. With your included admission, enjoy previously unheard anecdotes from the expert staff members before setting off on your own self-guided, behind-the-scenes discovery, as you explore a huge array of beautiful sets, costumes and props. You may also unearth some closely guarded secrets, including facts about the special effects and animatronics that made these films so hugely popular all over the world. 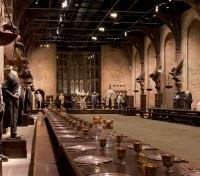 Here are just some of the things you can expect to see and do: Step inside and discover the actual Great Hall. Explore Dumbledore’s office and discover never-before-seen treasures. Step onto the famous cobbles of Diagon Alley, featuring the shop fronts of Ollivanders wand shop, Flourish and Blotts, the Weasleys' Wizard Wheezes, Gringotts Wizarding Bank and Eeylops Owl Emporium. See iconic props from the films, including Harry’s Nimbus 2000 and Hagrid’s motorcycle. Learn how creatures were brought to life with green screen effects, animatronics and life-sized models. Rediscover other memorable sets from the film series, including the Gryffindor common room, the boys’ dormitory, Hagrid’s hut, Potion’s classroom and Professor Umbridge’s office at the Ministry of Magic. A perfect day for any Harry Potter fan! Set out with a private guide, vehicle and driver, and embark on a full day tour out to medieval Warwick Castle, and the Cotswolds. Approximately 2.5 hours outside of London, arrive to the magnificent Warwick Castle, an 11th century relic from William the Conqueror, set in the beautiful rolling Warwickshire hills. With your guide, step through its 1,000-year history as you enter over the footbridge to a bygone world of banquets, battles and ceremony to visit the magnificent interiors of the Great Hall & State Rooms, climb the Towers and Ramparts for an archer’s view of the historic town of Warwick, and enter the multi-sensory Kingmaker attraction, journeying back to 1471 as Richard Neville prepares his army for battle. After your tour of the castle, spend the next few hours journeying through the Cotswolds, with stops en route via Moreton in March, Chipping Camden, Stow on the Wold, Bourton on the Water, and Burford, before returning to London. The Cotswolds are one of England's most picturesque and scenic rural areas, with rolling hills dotted with thatched medieval villages highlighted with historic markets and strips of cottages built of a distinctive yellowish limestone. 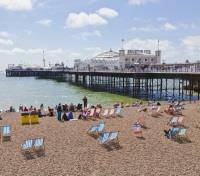 With your private driver-guide, make your way to Brighton today for a tour of this renowned seaside resort city. Approximately 2 hours due south of London, Brighton has become a hip, and popular day-trip option from the city, popular with locals and visitors alike. View the stunning 19th century Royal Pavilion, former home of the Prince Regent, and see the city’s 530-foot observation tower, standing taller than London’s The London Eye. Walk some of Brighton’s 5.4 miles of shingle beach, check out the arcade halls of the Palace Pier, and see the historic Grand Brighton Hotel, where the IRA attempted to assassinate then-Prime Minister Margaret Thatcher in 1984. Explore the city’s quirky shopping, admire the Regency-era buildings, and more. Our family-friendly day tour suggestions are subject to your individual tastes, and can be interchanged with other great activities. Interested in football tickets for the whole family, or something else? Please let your travel consultant know if you'd like to alter particular elements of your itinerary.